The overarching theme of spring 2014 has been very youthful, and what is more youthful than being in peak physical condition and getting sporty? Whether you are a Sochi-bound Olympian or a total couch potato, you can at least dress the part of the stylish athlete. 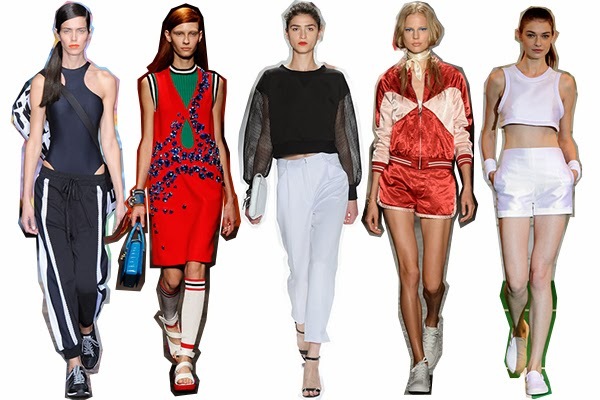 Mesh, jersey numbers, tube socks, sneakers, and more were spotted on the spring runways. Paired with slicked-back hair and a bold lip to keep the look from appearing too after-6th-period-gym, this look is stylish, edgy, and - dare we say - practical!